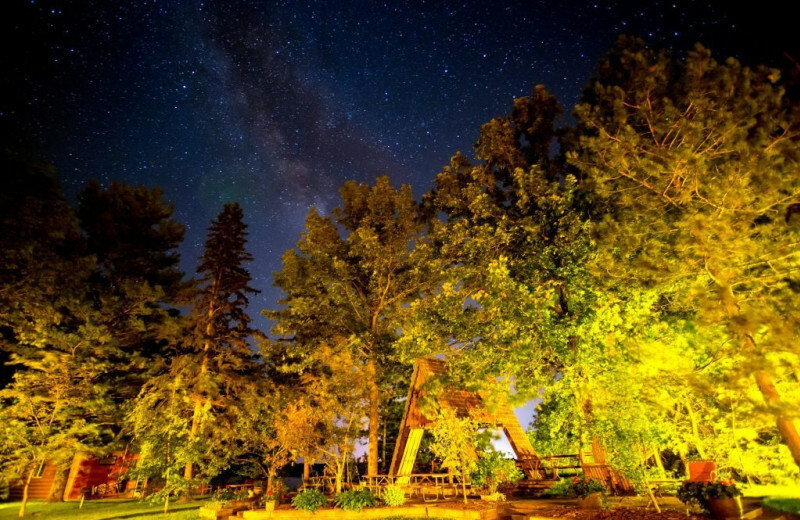 Explore the Northern Minnesota Wilderness at Kohl's Resort! 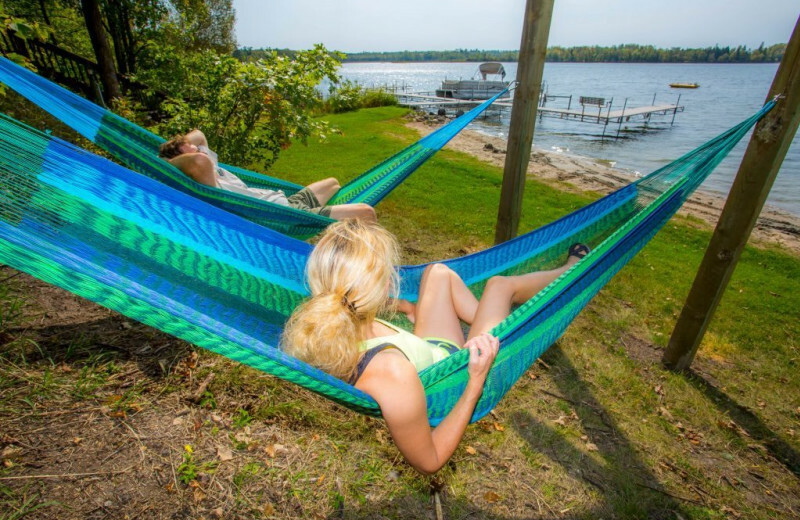 Experience a Northern Minnesota Wilderness vacation at Kohl's Resort! 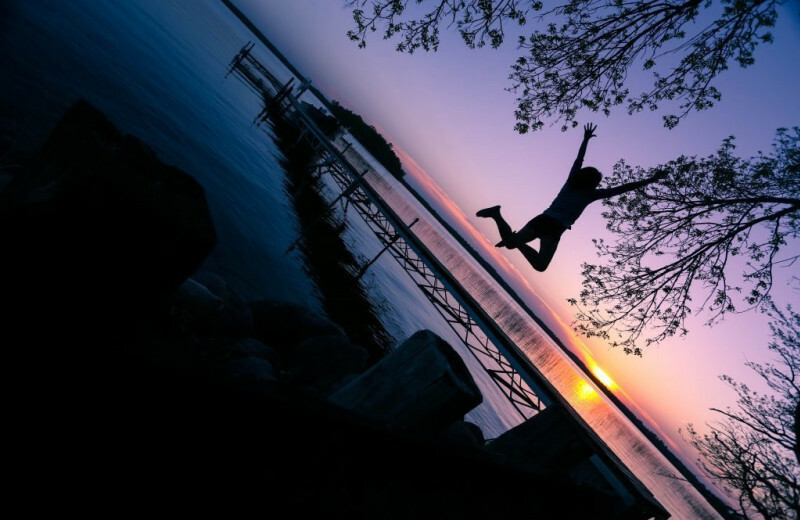 For decades, Kohl's Resort has been a staple for Bemidji family vacations - and it's easy to see why. 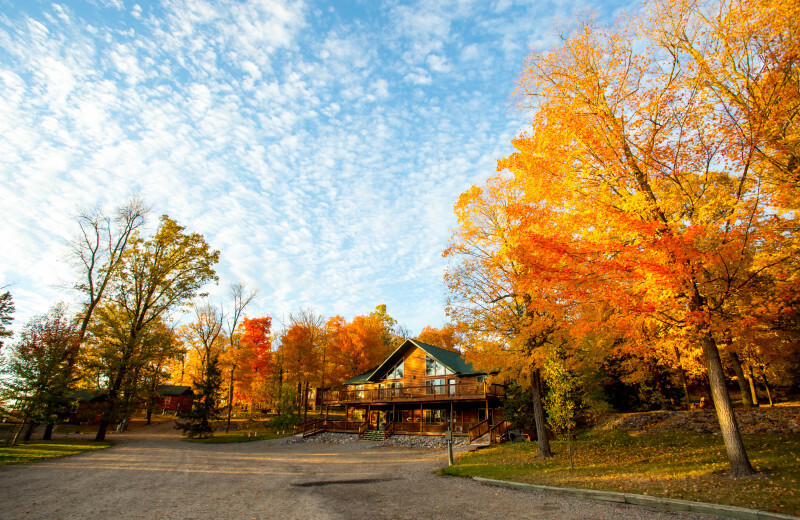 With two private sand beaches on Big Turtle Lake, spacious and cozy cabins and planned resort activities are highlights. 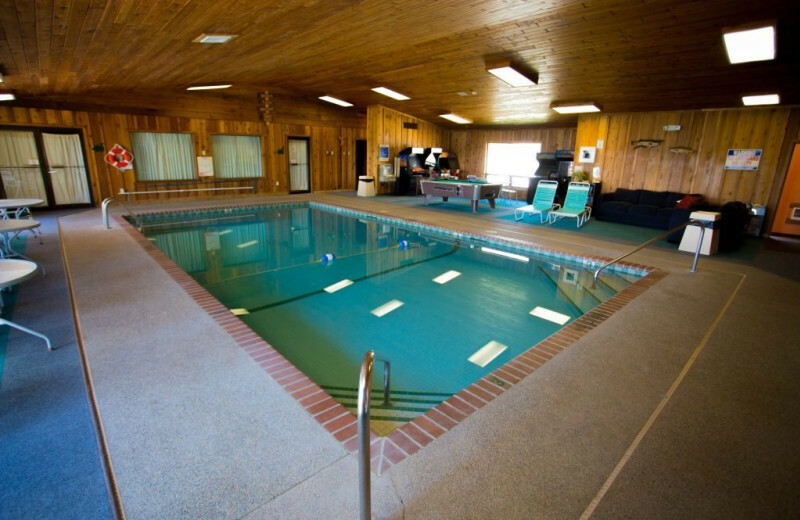 You'll also enjoy an indoor pool, outdoor Jacuzzi, hammocks, paddle boats and much more! Even when the lake is frozen activity abounds. 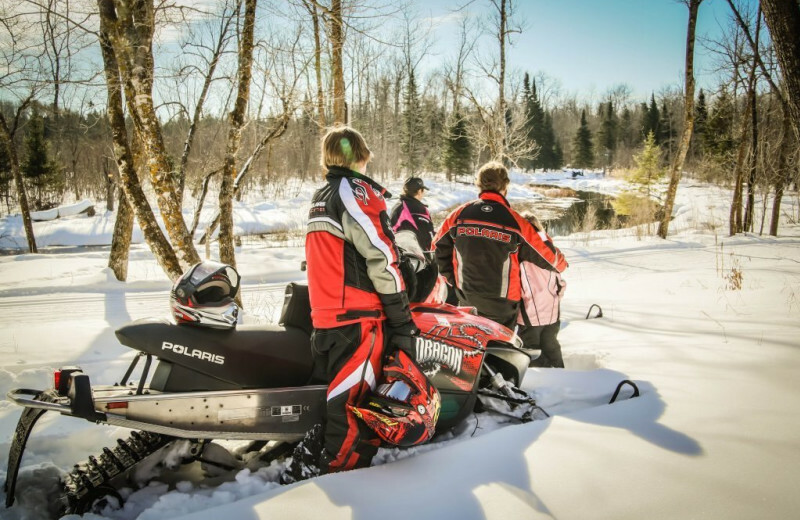 Bring your snowmobile and sled along thousands of miles of groomed trails. This family and pet-friendly resort is sure to make you return year after year! 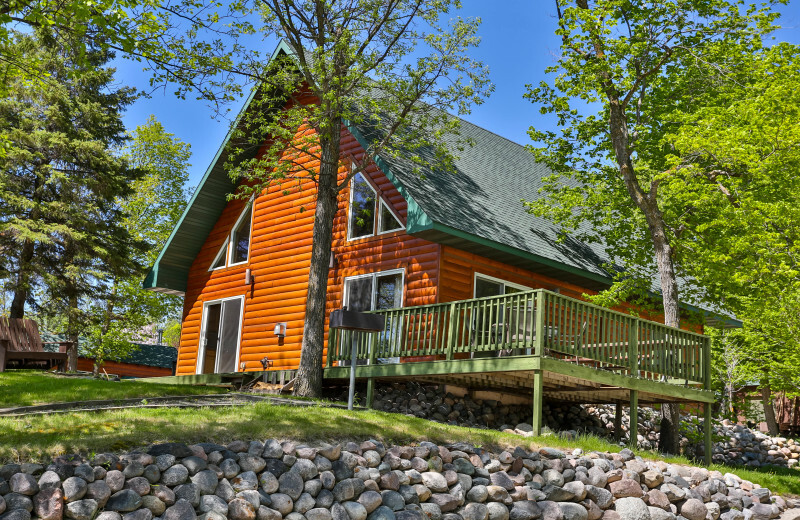 Nearby you'll find golf, snowmobiling, hunting, downhill and cross country skiing, hiking and biking, casinos, restaurants, Paul and Babe, Itasca State Park, bowling, and shopping, to name a few. What's not to love at Kohl's? 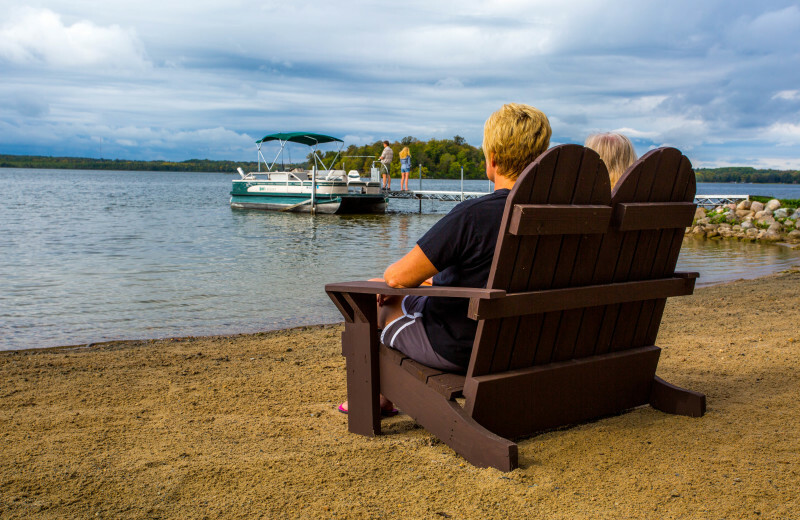 Kohl's Resort boasts a quarter mile of pristine sand beach on Big Turtle Lake. 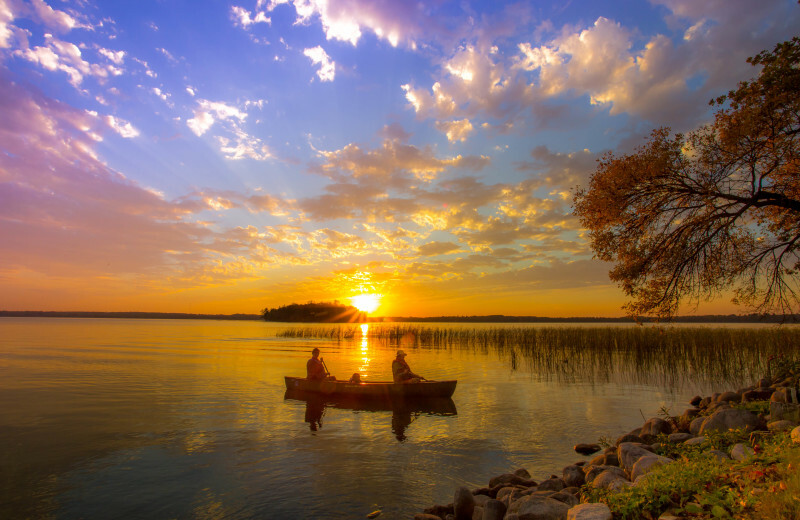 The warm lake waters are perfect for swimming, canoeing, and water sports. Make use of free canoes, kayaks, paddle boats, and fun bugs, along with three docks and a water trampoline. Weekly sand castle building contests are a highlight for families! Kohl's Resort is completely family friendly. Spend quality time with your kids on either of the two private beaches. 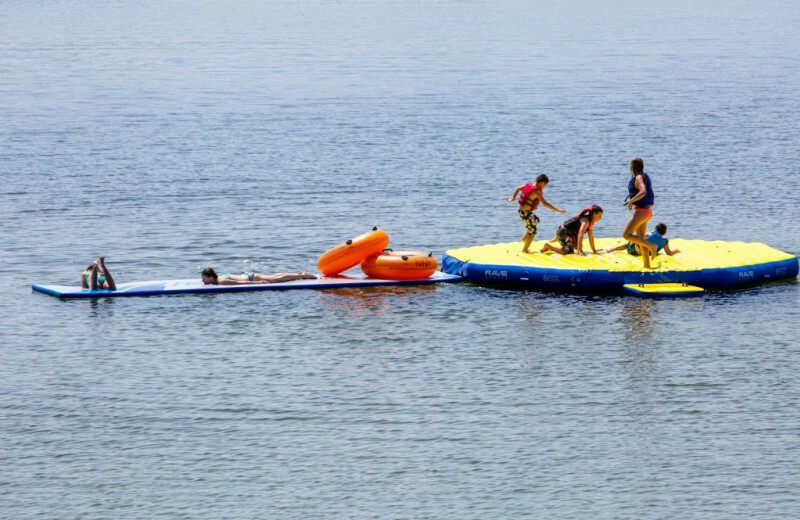 Fully equipped with free canoes, kayaks and paddle boats or swim out to the water trampoline. For the little ones and those who want to stay close to shore, enjoy fishing, bird watching or the weekly Sandcastle Competition. 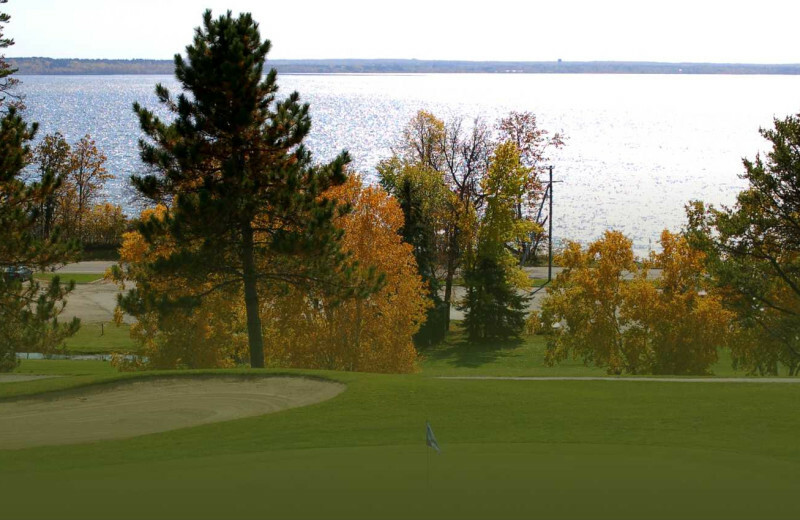 When you come to Kohl's Resort in Bemidji, you'll be near a bunch of high-quality golf courses! Ask the friendly staff to help you find a location that's just right for your skill level. Sand traps, thick rough, and water hazards are plentiful- but so is the fun! Tee off on a memorable vacation and book today! 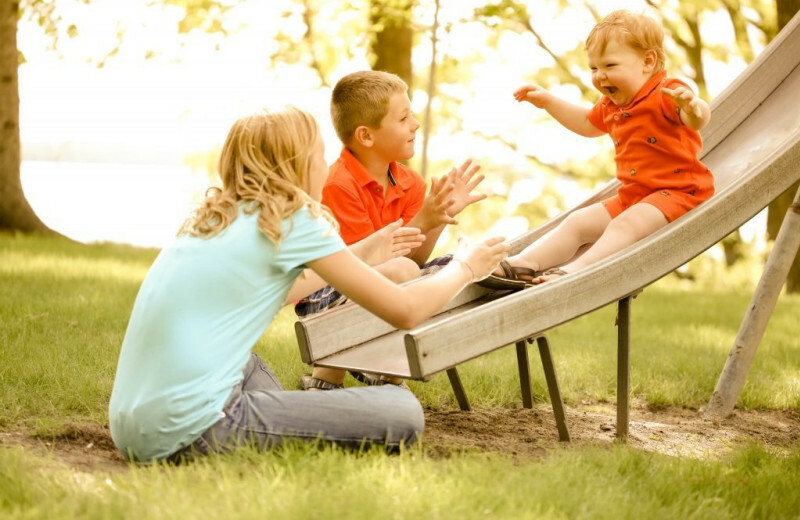 Kohl's specializes in families, and provides unique, inclusive activities for them to enjoy together. 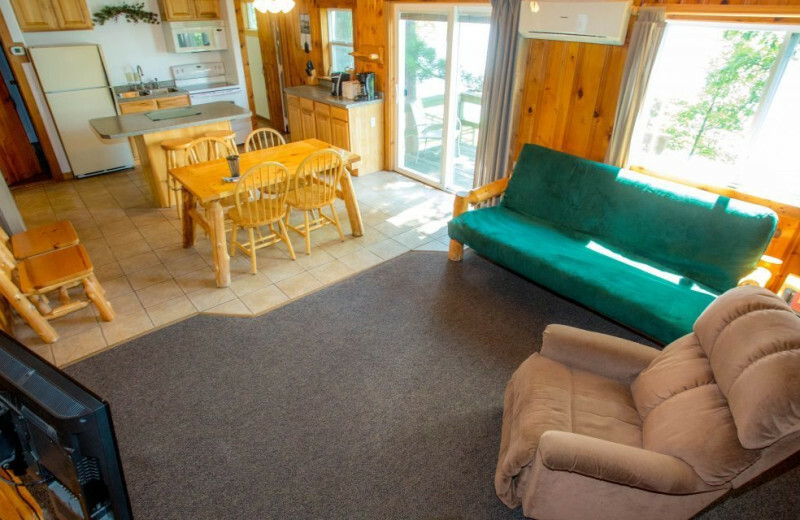 Their deluxe cabins and villas can accommodate up to 24 people, so feel free to bring the extended family! Schedule your family cookout, lakeside, at the A-Frame/Grill, participate in some water sports, or reminisce around a campfire. There's no wrong way to enjoy yourself here! 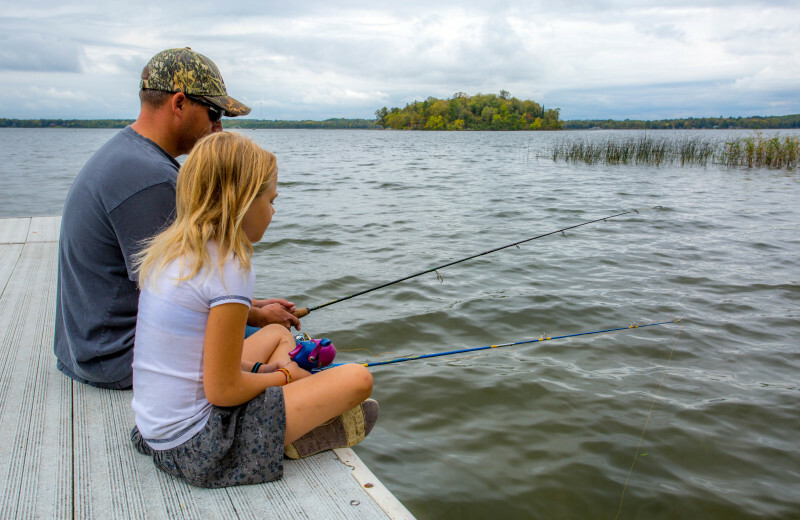 Just miles from the Continental Divide on Big Turtle Lake, Kohl's Resort features a natural fishing habitat, fertile hunting areas, and healthy wildlife populations. Spend an afternoon bird watching or take a family hike through the woods. 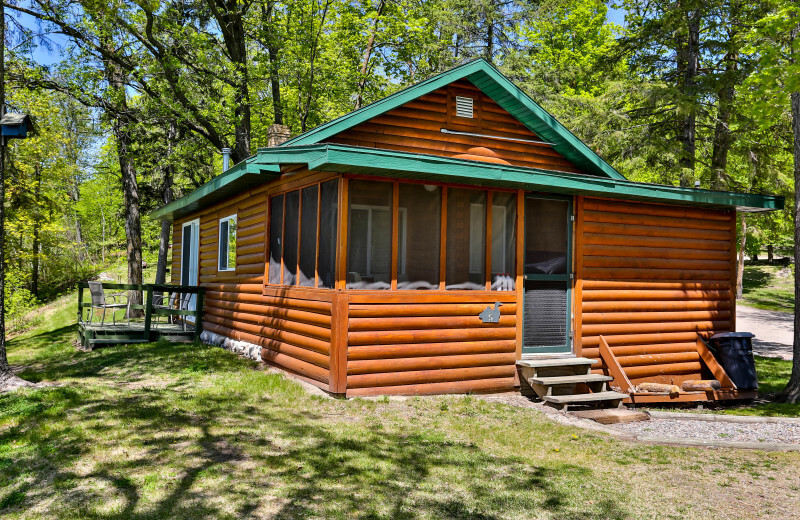 Rejuvenate yourself while enjoying the pristine Northwoods beauty that surrounds you at every turn! 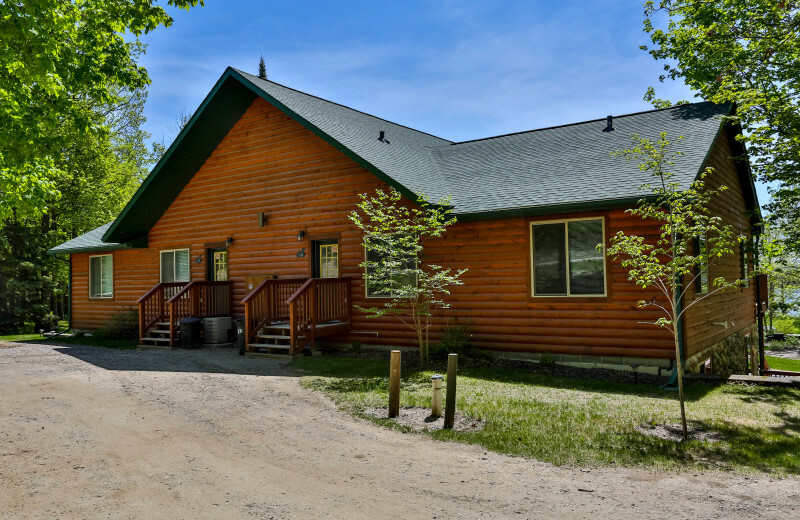 Kohl's Resort is located just miles from the Continental Divide on Big Turtle Lake, with access to Little Turtle Lake and Lake Mobil. 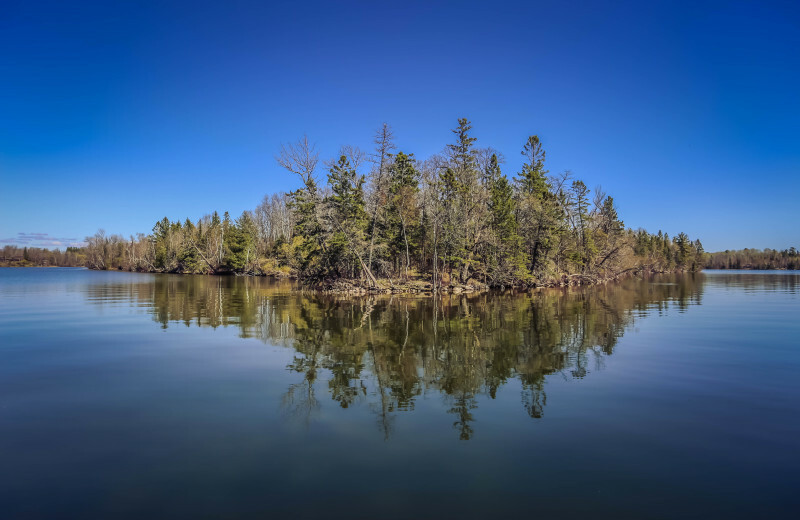 These clean, clear waters are home to northern pike, largemouth bass, walleye, and more. Take out the boat and enjoy the quiet mornings - or fish from one of the resort's docks! Head to Minnesota with your sweetheart and stay at Kohl's Resort for a perfect romantic retreat. This resort is sure to make you return year after year! 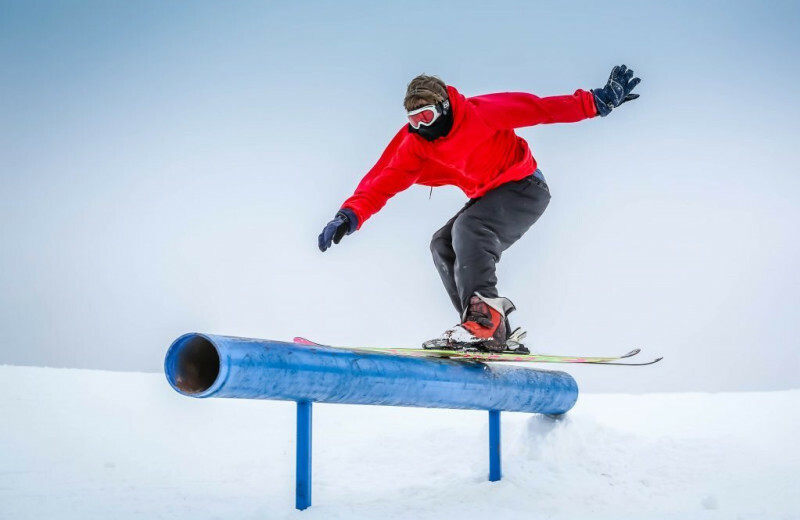 Nearby you'll find golf, snowmobiling, hunting, downhill and cross country skiing, hiking and biking, casinos, restaurants, Paul and Babe, Itasca State Park, bowling, and shopping, to name a few. What's not to love at Kohl's? 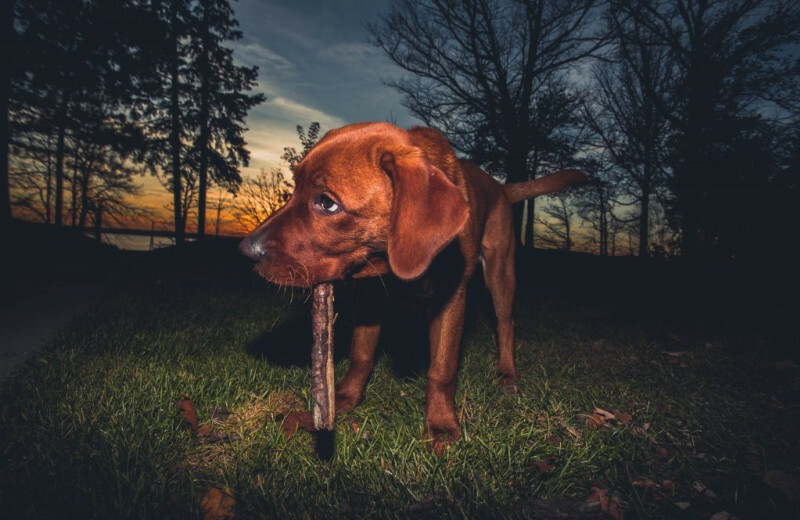 You wouldn't want to leave a member of your hunting party at home, and that includes the family dog. At Kohl's Resort there is no need to leave Fido behind. With a nominal fee you can make sure you have your trusty sidekick. Pets can enjoy the northwoods environment too! For more information regarding their pet policies, please contact the resort! Kohl's Resort is the perfect destination for your next vacation. 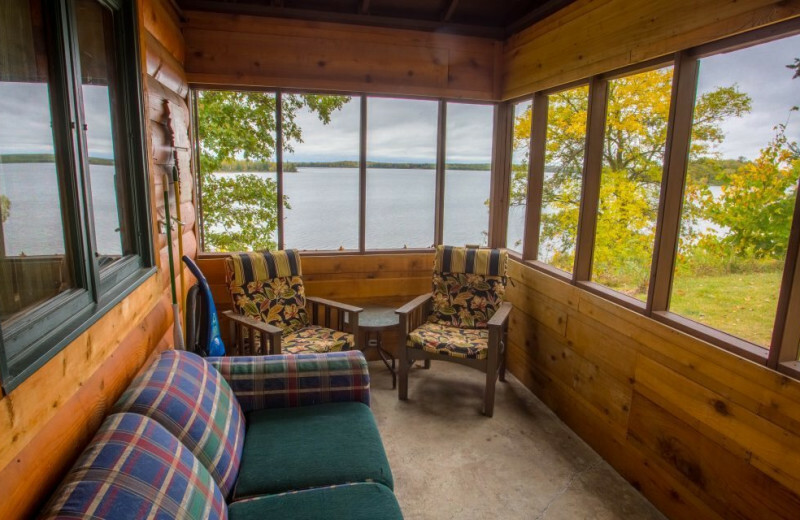 Head to Bemidji and you'll be treated like royalty. 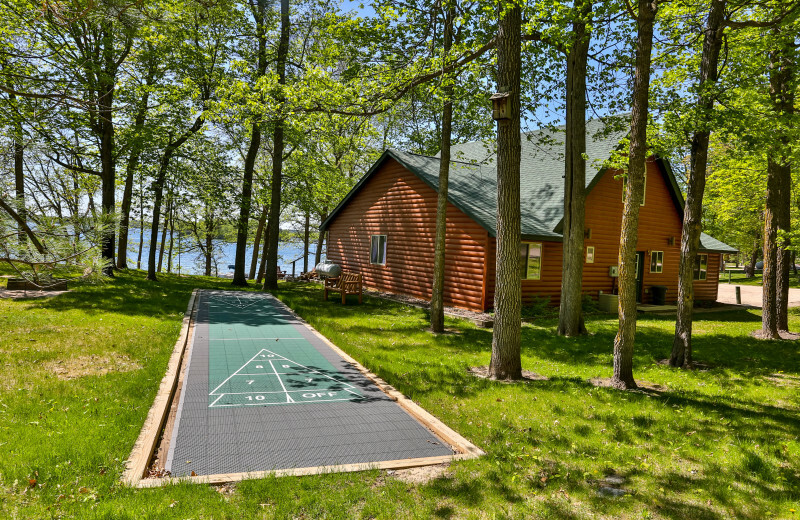 The lakefront property sets the scene for a memorable vacation. 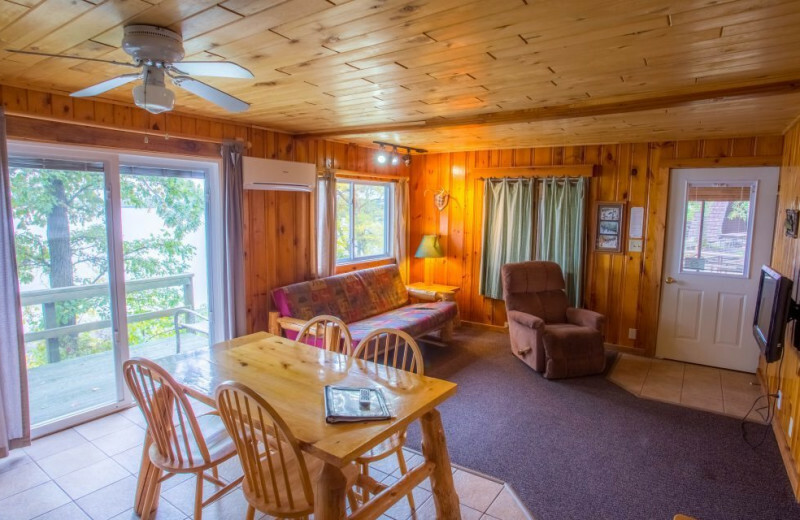 Wake up each morning to views of Big Turtle Lake from your private cabin accommodations and get ready to enjoy the day. This is the perfect destination for your next vacation. 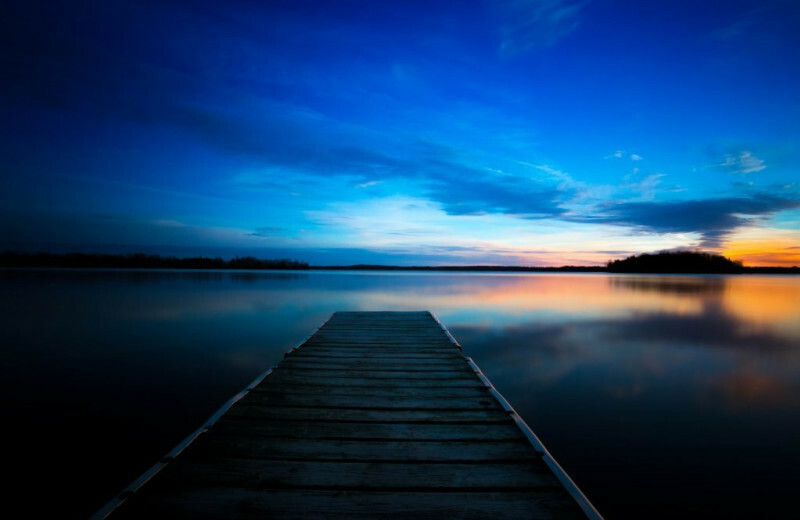 Kohl's Resort is located on Big Turtle Lake with 1/4 mile of lakefront property. Golden sand beaches and a natural fish habitat make it a wonderful getaway. 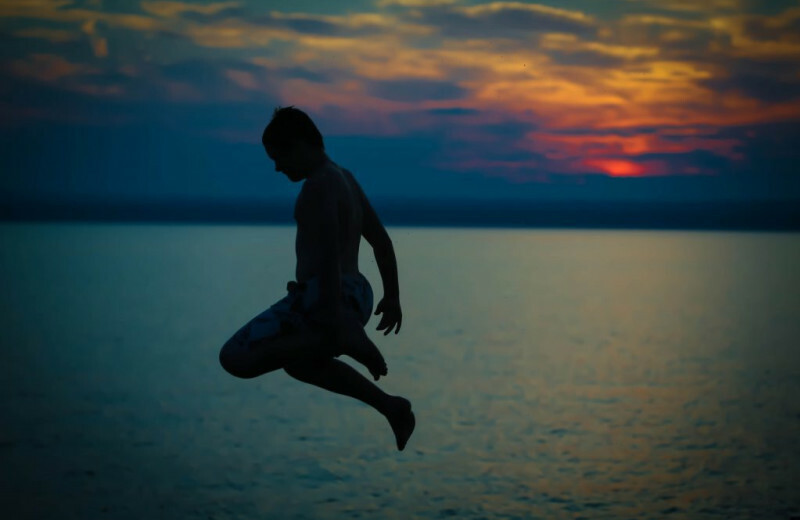 Explore the waters with activities like canoeing, kayaking, and jumping on the water trampoline. 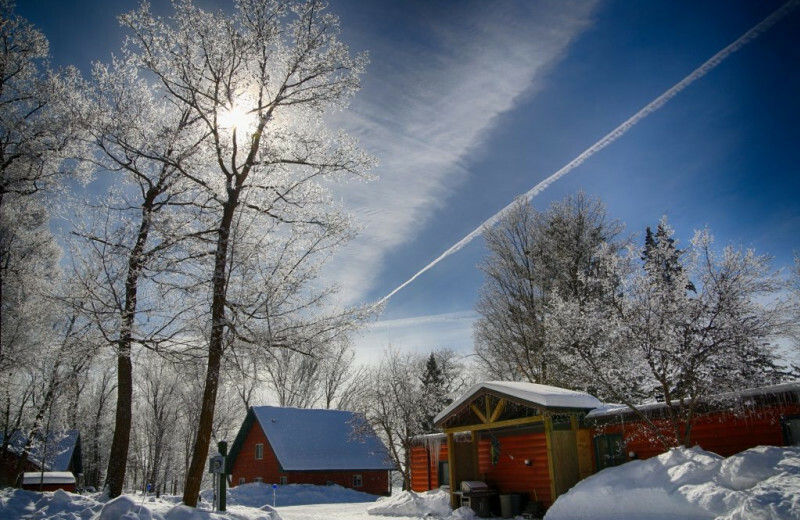 In the winter, you can ice skate, snowmobile and ice fish. 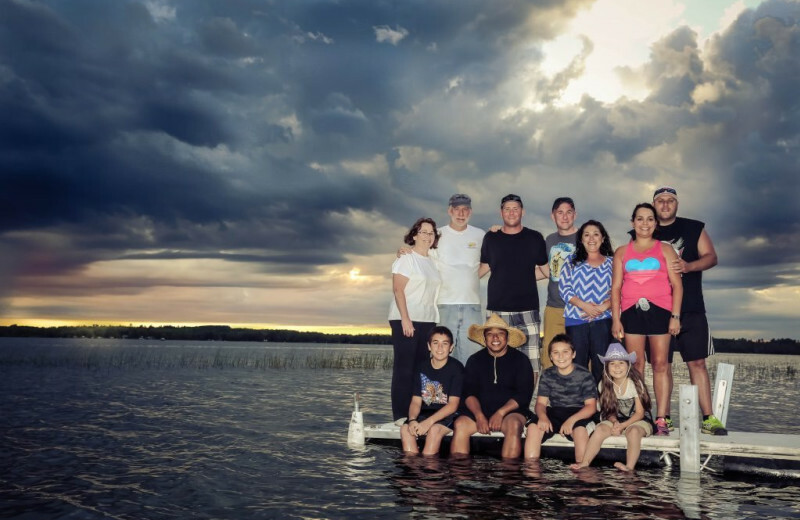 Plan a family vacation any time of year on Turtle Lake! 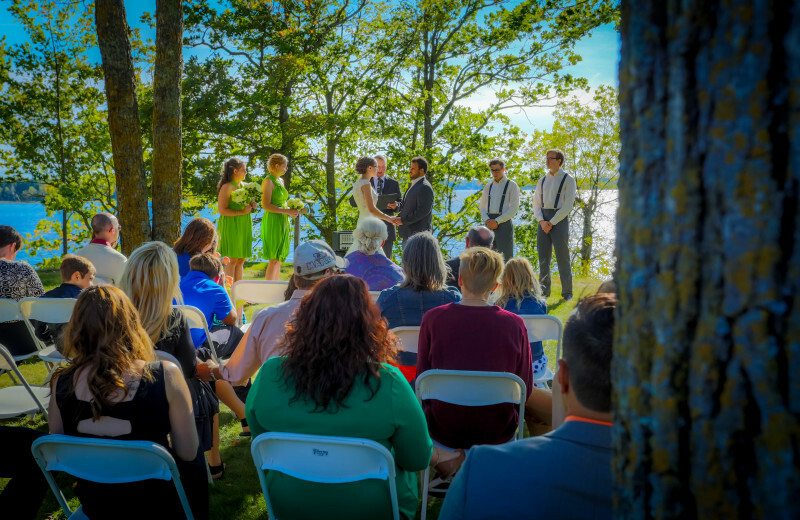 After your wedding, head to Minnesota and stay at Kohl's Resort with your new spouse. This resort is sure to make you return year after year! 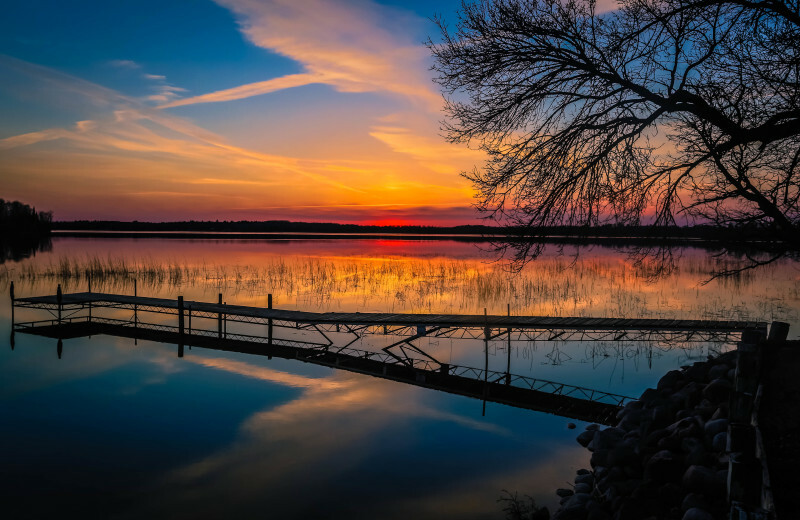 Nearby you'll find golf, snowmobiling, hunting, downhill and cross country skiing, hiking and biking, casinos, restaurants, Paul and Babe, Itasca State Park, bowling, and shopping, to name a few. What's not to love at Kohl's? 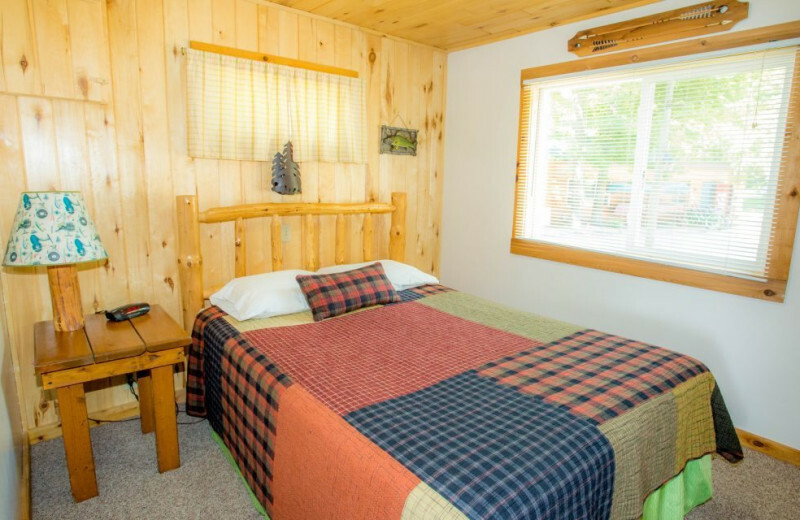 The gorgeous log cabins here make for a superior way to stay! 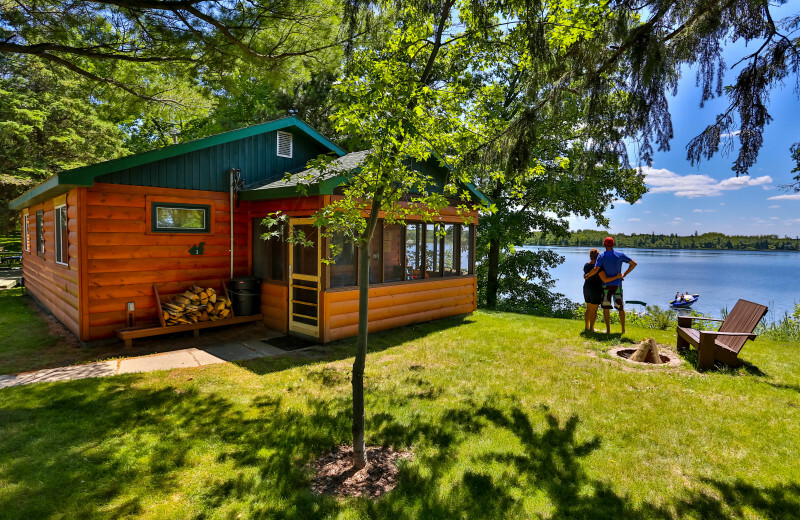 Cabins come in a variety of sizes, some with multiple bedrooms and others ideal for a romantic couples retreat. Amenities are plentiful, ranging from jacuzzi tubs and fireplaces to sizable decks ideal for watching the sun set. It's simply the beset way to stay! Plan your next group event at Kohl's Resort. For more information please call +1 (877) 780 - 8128 or Send Inquiry. 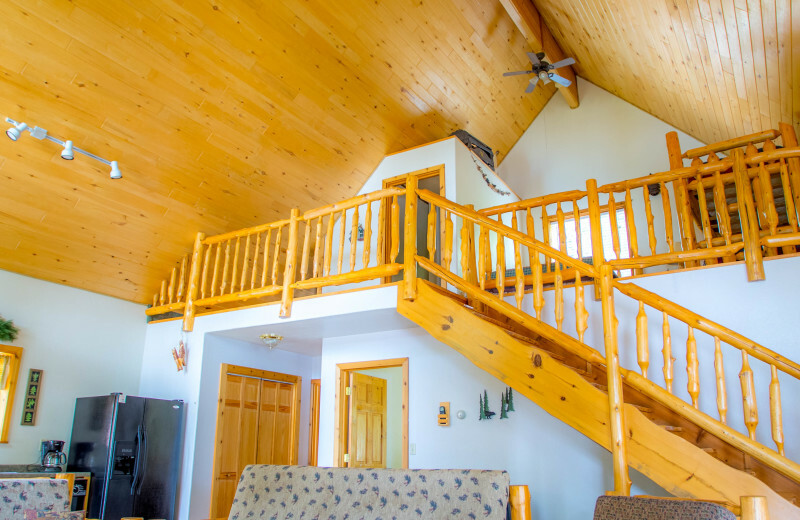 This property is ranked number 1 on Top Northwest Minnesota Resorts. Read about it here.